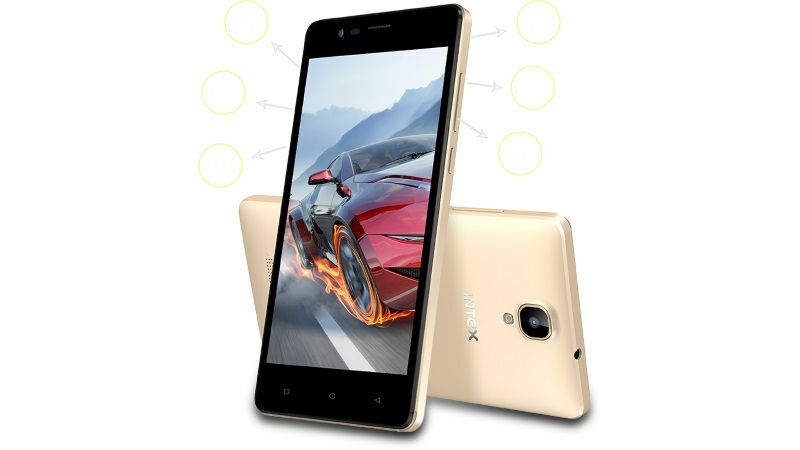 Intex launched the company’s latest smartphone with 4G VoLTE support, Intex Aqua Lions 4G. It seems like the Intex is looking forward to target the IPL fans since a partial Gujarat Lions branding has been listed. Let us however have a detailed look at its specifications. The smartphone sports a 5-inch FWVGA display at a resolution of 480×854 pixels with 196 ppi pixel density. It is powered by a quad-core processor clocked at 1.3GHz and runs on Android 6.0 (Marshmallow) out of the box. The device comes with 1 GB RAM and 8 GB internal memory which can expanded to 64 GB using microSD. Aqua Lions 4G has 5-megapixel primary camera and 2-megapixel selfie camera. The device supports 3.5mm headphone jack, FM Radio, GPS/ A-GPS, WLAN, Bluetooth and 4G VoLTE. It packs 2000 mAh battery and weighs 146.7 grams with 143.8x72x9.8mm size measurements. Intex Aqua Lions 4G will be available in Grey and Champagne colors at a price of Rs 5,499. However, there is no yet on whether when this mobile will be available in the market for purchase.